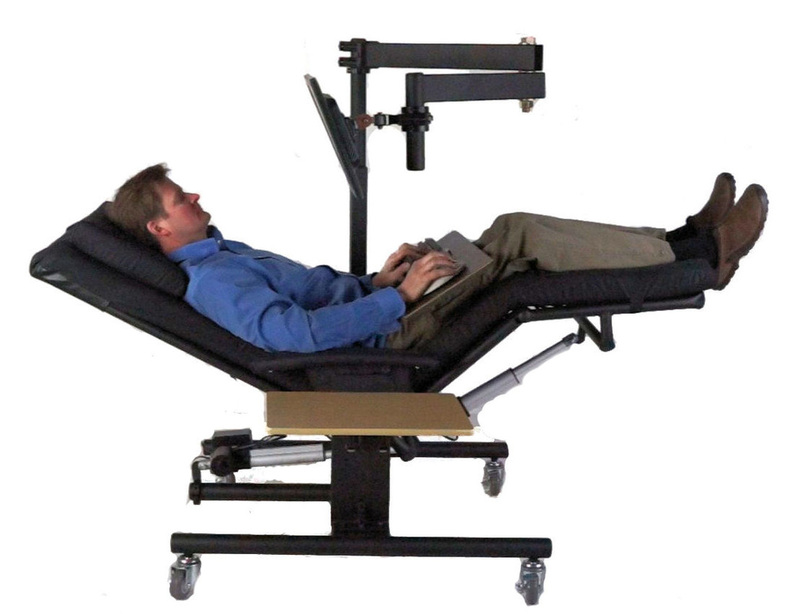 When you are in an upright standing or sitting position, gravity places pressure on the spine causing discs to compress and spinal muscles to contract to help you maintain balance. 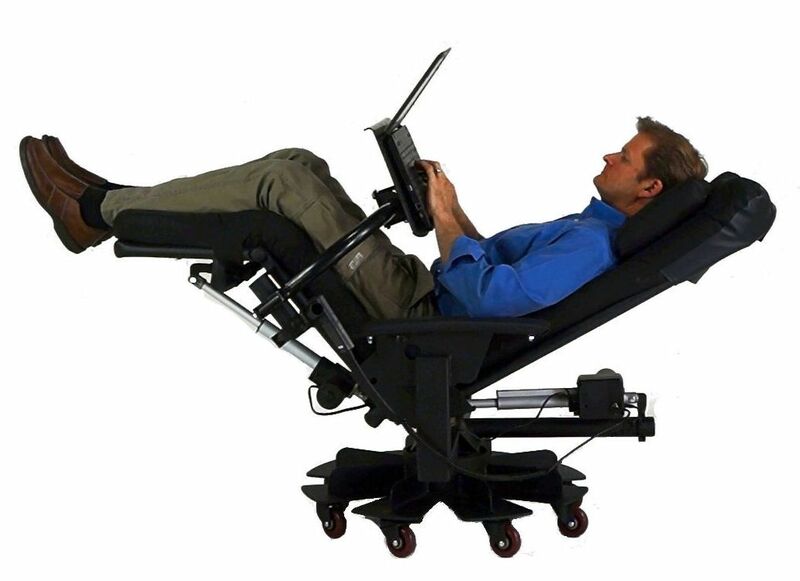 If you have back pain or neck pain, this can be extremely uncomfortable, even painful. 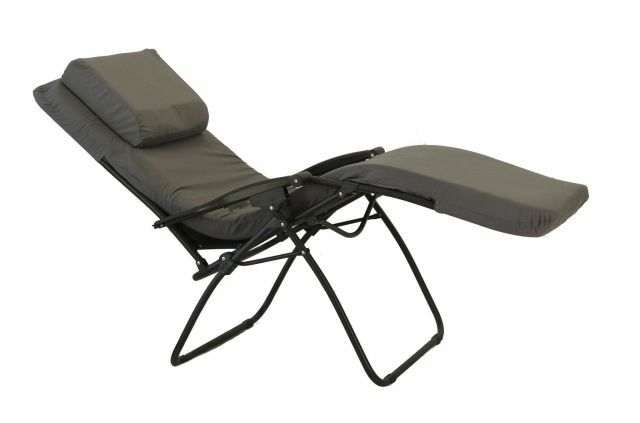 When gravity is neutralized with a zero gravity chair, muscles rest and discs return to their normal size and shape, relieving discomfort and pain. So how do you neutralize gravity? 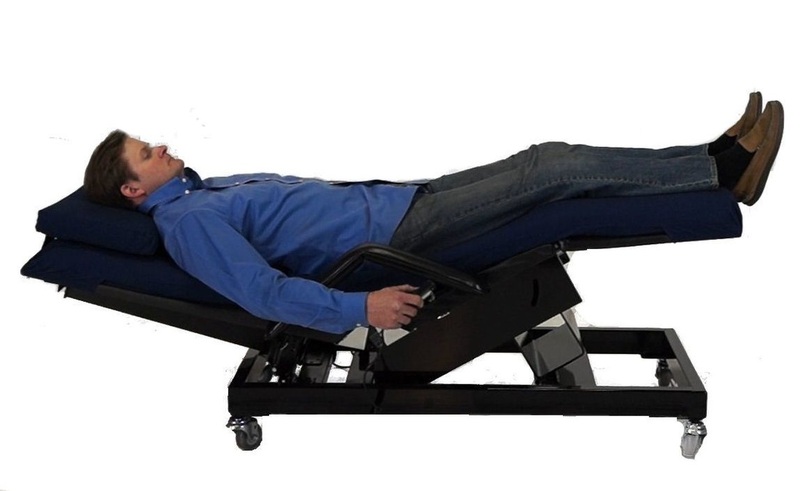 By aligning the torso with the thighs and extending your lower legs above your heart creating a 120 degree open angle between your abdomen and thighs. 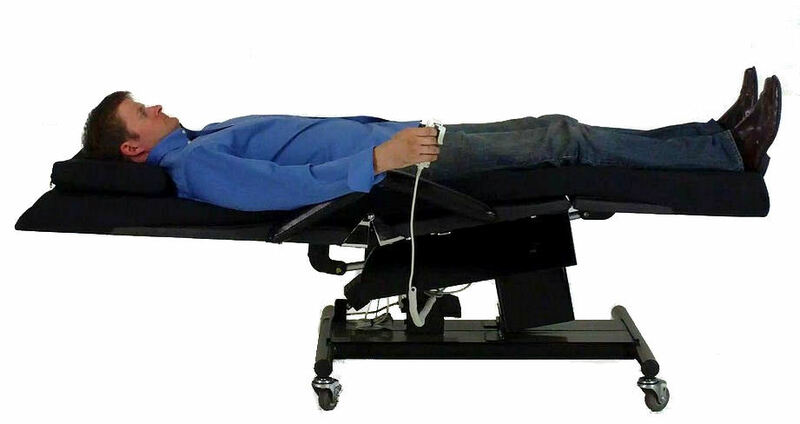 This causes the spine to decompress and allows the spinal discs to return to their normal size and shape. 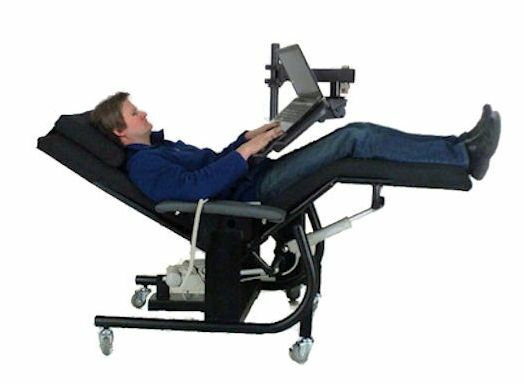 And since gravity is no longer a factor, the spinal muscles don’t need to contract to counteract the forces of gravity. 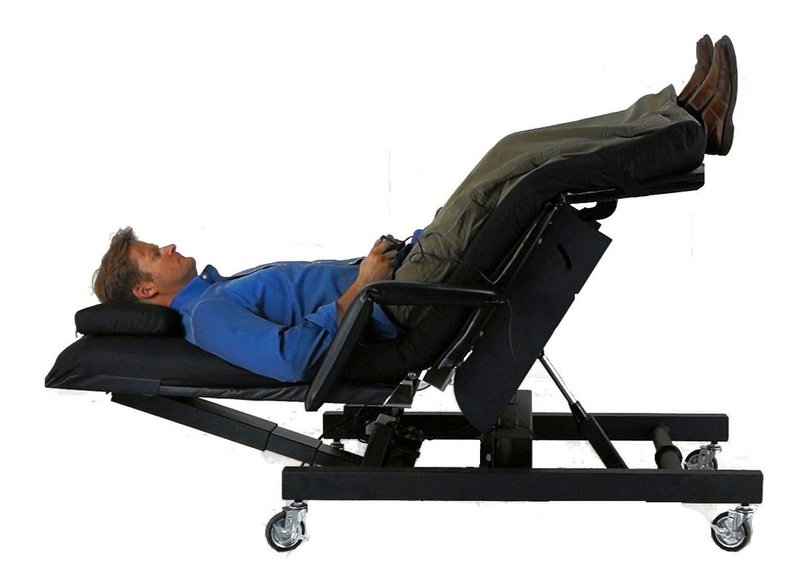 This stress-free, zero gravity position reduces pressure on your spine and lower back, reduces stress on your heart, relieves muscle tension and back pain, and increases lung capacity and blood circulation. 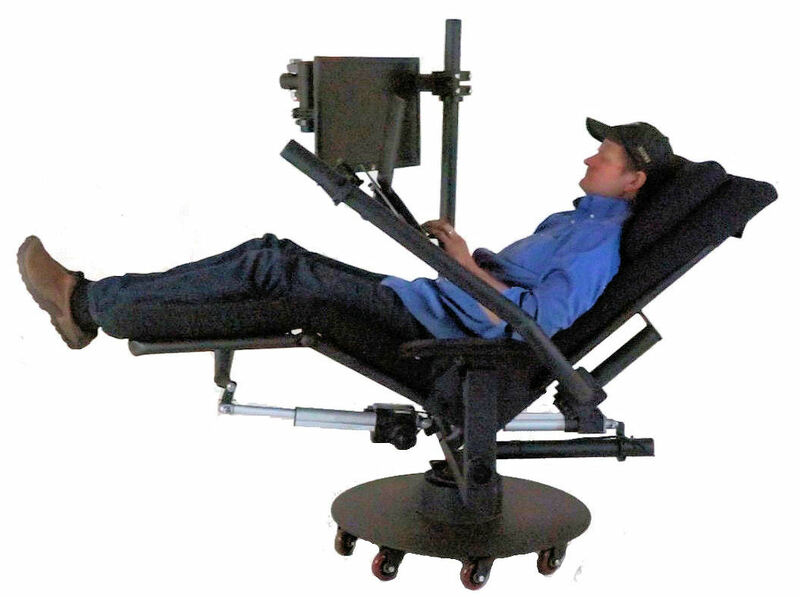 Back pain and neck pain are no match for the ErgoQuest line of zero gravity chairs. 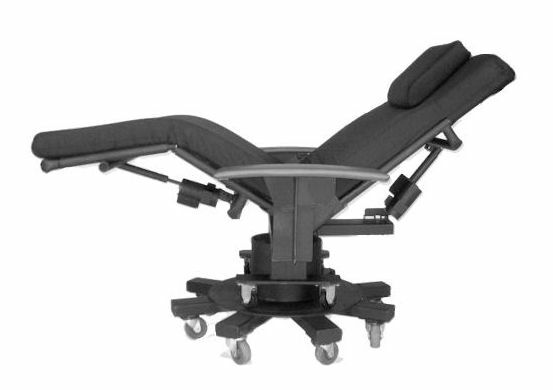 And here’s another critical advantage of our zero gravity chairs over competing zero gravity chairs: we custom size the recliner to your specific body measurements. 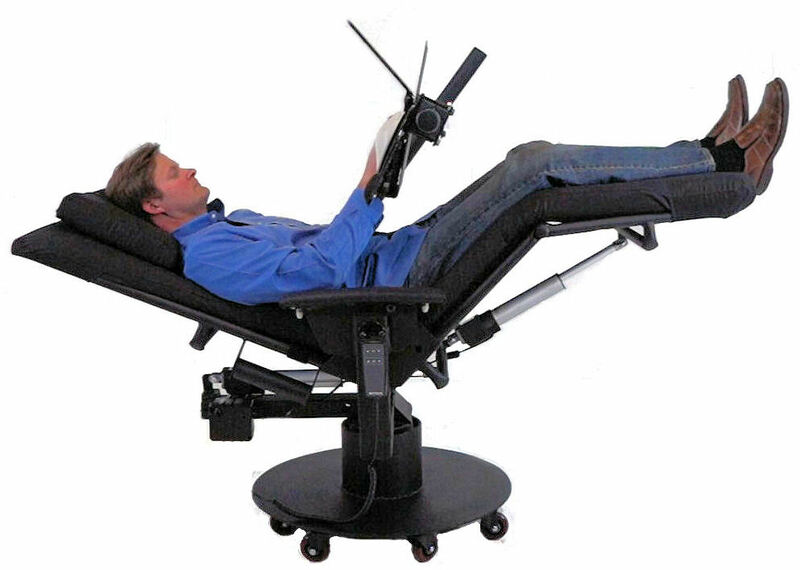 What good does a zero-gravity position do you if circulation is cut off to your legs because the seat pan is too short, or your feet hang off the end because the leg support is too short. 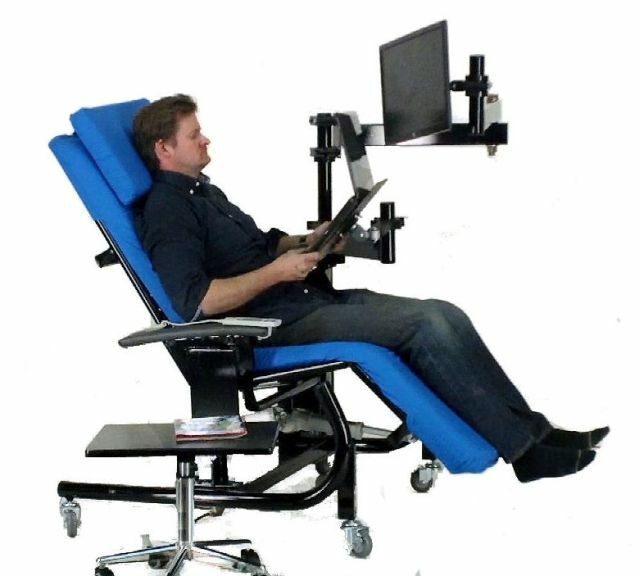 The size of the back, seat and leg supports is important to your comfort and ErgoQuest custom builds the recliner frame and pad set to your body dimensions. We have chairs for tall people, chairs for short people and any size in between.